The Center is proud to present the annual Tour for the Heart — a fun 5km XC ski or snowshoe tour to raise awareness and research funds for battling women’s heart disease. The Tour for the Heart covers a beautiful and gentle Oregon Cascades 5km route suitable for participants of all ages and abilities (and yes, men & boys of all ages are very welcome to join us!). 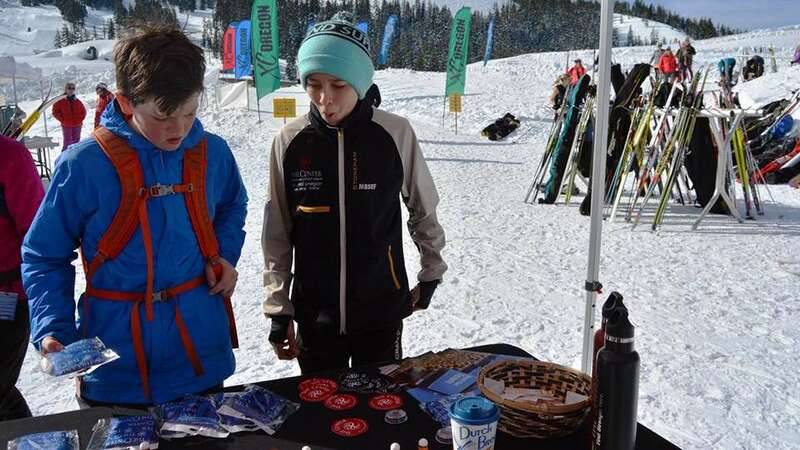 The Tour is a big party on snow for all ages and abilities featuring music, yummy treats, and costumes are encouraged, with prizes for the most creative ensembles. Recruit your friends, coworkers and family to sign up for the Group Challenge to enjoy for a great day on the snow and qualify for extra special group gift surprises!